The Pop! Vinyl version of your favorite character is the focus of this nifty Pop! lanyard! The Five Nights at Freddy’s Foxy Pop! 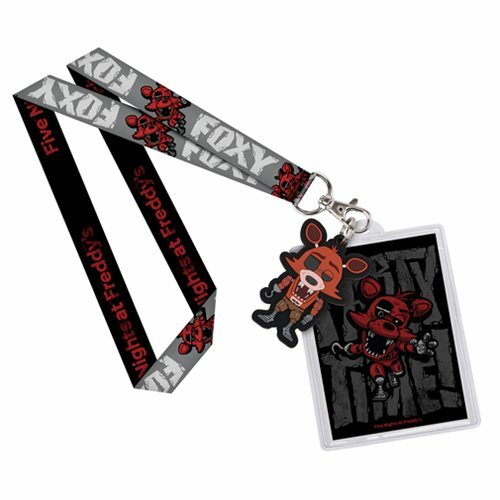 Lanyard includes a soft rubber charm and a badge holder, complete with a carded image of Foxy. Features the Five Nights at Freddy’s and Pop! logos on one side, and an image of the Pop! style character and name on the reverse! Comes packaged on a hang tag. Ages 14 and up.